In this week’s “Winemaker Interview,” Amanda talks about how she created Connecticut’s 1st Micro Winery and her love of winemaking. I had no idea of what I wanted to be when I grew up and never thought that someone would actually pay me to make wine. I’ve always had a love for the art behind wine, but my background is in business. When my husband and I moved to Connecticut, he encouraged me to find a job that was going to make me happy. I knew I didn’t want to suit up and punch a clock. Wine made me happy. It sounds simple, but I enjoy every aspect of wine. Making it keeps me creative, correcting faults keeps me learning and innovative, drinking it keeps me social and selling it keeps my husband happy. How long have you been making wine for? Professionally, five years. I’ve been playing around with fermentation for as long as I can remember. I remember being little in my grandmother’s kitchen. Her sister’s had come to visit from Canada and they pulled all of the grapes off of the vines that my grandmother had growing in the yard. They crushed them and then used cheese cloth to separate the juice from the skins. Not a huge yield, but they made a rose with Concord grapes. I remember lining up the 7-Up bottles and holding the funnel while they filled each ¾ of the way. Then, tightening the caps and moving them to the pantry. A couple days later all of the bottles exploded. The caps had been tightened too much and the gasses had no way of escaping… Fermentation lesson #1. I actually answered a Craigslist ad when I moved to CT for a bookkeeper position for a construction company. The owner said that he was going to start a small winery and I didn’t give him a choice in hiring me. I’m a terrible bookkeeper so thank God I could make wine. For me, it was the law. Connecticut currently only has a license for Farm Wineries. Since I don’t grow grapes, they had a difficult time classifying what I do. 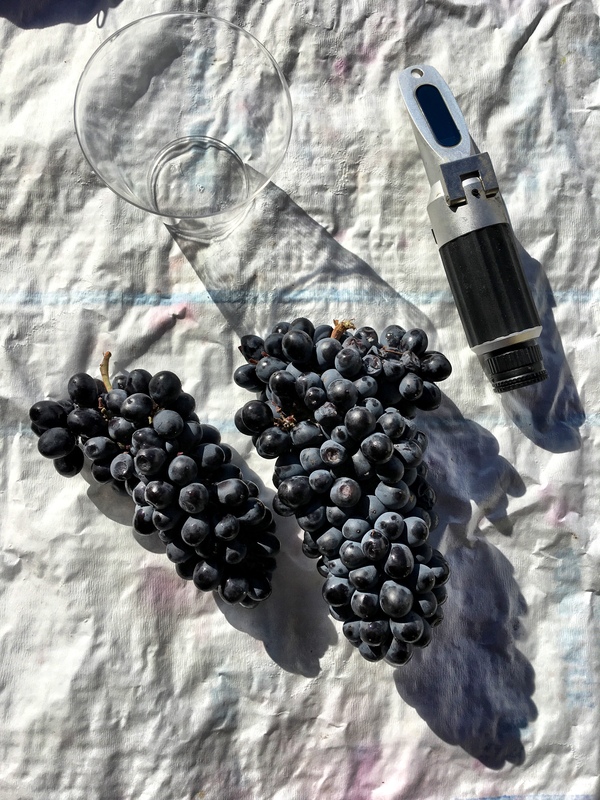 It took a while to get to this point, but The Southern Connecticut Wine Company is Connecticut’s first and only micro-winery. Tell us about your harvest process.. It starts with a trip to the grocery store where I purchase all of the El Monte microwave breakfast burritos in the freezer section. I stock up on coffee, waffles, hot sauce and vodka. I don’t grow so my pre harvest prep is making sure that I’ve ordered grapes (Christina, I’ll get that to you today, I promise), make sure I have all of the yeasts, nutrients and other products that I need for each blend on hand. Then I start power washing EVERYTHING. Harvest is a magical time where I become a maniac who has zero interest in anything else unless it’s fermenting. It’s a systematic, controlled chaos. This harvest I’m gearing up to make 23 different types of wines in the 2000 square feet of wine production space. Red’s ferment in the main production area while whites and roses are moved into a back office so the temperature can be dropped. Fermentation tubs, barrels, tanks, finished wine.. Everything is constantly being moved around. Harvest is a by any means necessary attitude with all hands on deck. 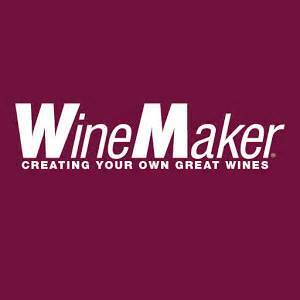 How does your wine making approach differ from other winemakers? I love blending. Creating big red blends has become my niche. Throughout the year I’ll experiment with new combinations and use friends and family as guinea pigs. By the time harvest rolls around, I’ll have a game plan for at least one new blend. I’m not limited by region or growing my own product, so really, the sky is the limit as far as sourcing. I enjoy creating something crazy and different. If someone says “you shouldn’t do that”, I’m going to at least try it. Make good wine and make wine that I would want to drink. Repeat customers are a sure sign of a good vintage. I would really like to try barrel fermentation. I’ve never been able to do that because of space constraints. I would also like to make an orange wine, but my husband won’t let me bury clay fermentation vessels in our backyard. I really have a laundry list of things that I want to try… carbonic maceration, sparkling, kegging wine.. just to list a few. It would also be pretty awesome to learn how to recoop barrels. We all need an activity in the down months. I’m partial to the Central Coast (California). I grew up on the Monterey Peninsula and that’s where I was first exposed to the wine industry. I grew up tagging along with my mom to all of the local vineyards in the Carmel Valley AVA. I love it when someone asks what I do when I’m not crushing. The amount of time that goes into nurturing and working the wine surprises people. It’s not just a “set it and forget it” product. It’s very easy to make bad wine if you’re not paying attention. But, by that token, most faulted wine is able to be corrected…and if it’s too far gone, just throw some fruit in and make sangria. Another aspect that surprises people is the comradely that the winemakers in the state have. Making good wine is easy if you have a network of people with different expertise. It’s more of a cooperative effort rather than a competitive environment. We support each other. I love creating something so unique and personal to share. I love getting messy. I love learning. There is always a new product, a new technique. I especially love being able to share this with my family. My son has been coming to the winery with me since he’s been a week old. One day I hope that he and I will be making wine, side by side. My favorite wine is the wine that I made for my husband. We call it the Bawstin Blend, on account of his thick Boston accent. When he and I first started dating, he pretended that he was really into wine.. Low and behold, he used every wine app available on his phone and googled while we were at restaurants so that he could keep the conversation going about whatever he ordered, and he was ordering some fantastic wines! He “confessed” that he didn’t like wine like five or six years after we started dating. He said he just couldn’t keep up the charade anymore. It was pretty awesome that he went through so much trouble to impress me in the early years, so we deconstructed a bunch of wines and figured out what characteristics he didn’t like in a wine. Then we constructed a crazy California red blend for him that isn’t too tannic or heavily oaked. Who are your favorite winemakers and why? There are so many! I think Isabelle Simi was positively badass. She took over her father’s vineyard and winery when she was 18, found prohibition loopholes and navigated the success of Simi through the Great Depression. Brandon Allen of SLO Down Wines is amazing. His wine, Sexual Chocolate, is one of my go-tos. Brandon was one of my favorite beer pong partners in college when we all use to drink Natty Ice and hang out in my garage. John Saunders of Boëté in Carmel Valley, CA produces one of my favorite Cab Francs, hands down. It’s a family owned and operated vineyard that produces small batch Cab and Cab Franc. He’s a super detail oriented winemaker and it definitely shows in the product. There comes a point in the season when anything is better than wine… even water. Usually during harvest you’ll find me drinking beer.. Unless something has broken. In that case, I drink vodka. Lot’s of vodka. Also, check out Cru Podcast’s most recent interview of Amanda – Finding Your Happy with Amanda Brackett. In this episode Amanda and Chappy of Cru converse about her passion for winemaking and how she became a winemaker in Connecticut to how she is working to teach more and more people about wine. She also shares the challenges she has had to overcome not only with government regulation, but the simple fact of her being a female business owner and winemaker. A great listen! Until next time. Cheers Wine Lovers!